When will be Hotel Transylvania: The Series next episode air date? Is Hotel Transylvania: The Series renewed or cancelled? Where to countdown Hotel Transylvania: The Series air dates? Is Hotel Transylvania: The Series worth watching? 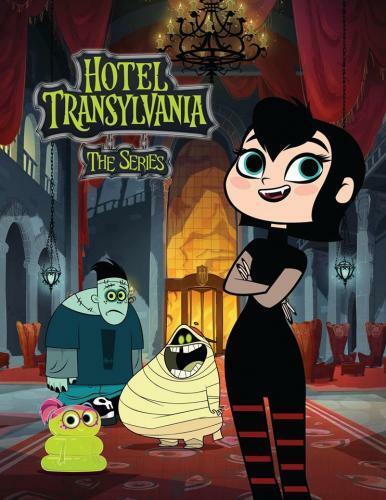 Hotel Transylvania: The Series focuses on the teenage years of Dracula's daughter, Mavis, and her three closest friends Hank N Stein, Pedro and Wendy Blob. With Dracula away on "Official Vampire Business," Mavis finally sees her chance to show her father what she can do. With the help of her friends, she decides to put her brilliant ideas of how to run the Hotel into motion, but …..enter Aunt Lydia, Dracula's older and much meaner sister. While Mavis and friends are ready to let loose and have fun, Aunt Lydia pushes for even more order and tradition at the Hotel. 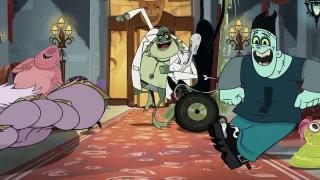 Hotel Transylvania: The Series next episode air date provides TVMaze for you. EpisoDate.com is your TV show guide to Countdown Hotel Transylvania: The Series Episode Air Dates and to stay in touch with Hotel Transylvania: The Series next episode Air Date and your others favorite TV Shows. Add the shows you like to a "Watchlist" and let the site take it from there.